Hi everyone! My brother and I have been working on this game for a couple of months now and I'd like to begin to share our progress publicly leading up to a release. 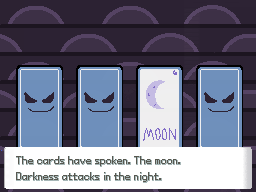 I've dipped my toe into the waters of Pokemon fangame development a couple times in my life but I've never really done work I'm proud of, until this project. 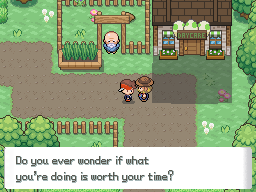 I set out to make a Pokemon game that is something I myself would enjoy playing - a game rich with interesting and unique fakemon, traditional Pokemon mechanics, and a compelling story that drives the gameplay. This is about as close as I've gotten, and I hope you guys like what we have to offer you. Team Wild is a team of rebel bandits who mainly scourge around Goldwhite Desert in the eastern bounds of Ario. They’re constantly searching for something but it’s not easy to know what. 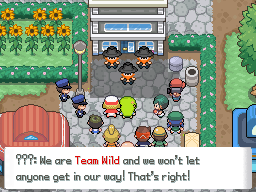 The player is slowly made aware of Team Wild’s ultimate plan, and what they’re searching for. 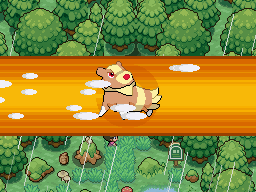 It seems that deep in the ruins of Goldwhite Desert lies an extremely powerful and mysterious legendary Pokemon. However, the only way to encounter this Pokemon is by using a key that is hidden somewhere in the mystery of Ario, and there are several riddles scattered throughout the region that, if solved and pieced together, lead one to the key needed to unleash this beast. Team Wild’s leader wants to capture this legendary Pokemon because it has the amazing ability to wipe the memory of entire populations. 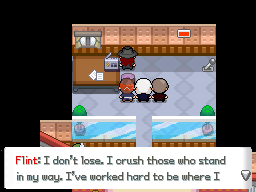 The leader wants to use this power to clean the Pokemon world’s memory of how Pokemon ought to be treated and afterwards create a new society in which Pokemon are seen as currency, and slaves of sorts. He’ll be able to put himself at the top of the ladder in this new society as the owner of the most rare and unique Pokemon in all of Ario, the legendary Pokemon, therefore become the unrivaled dictator of Ario. It’s up to you to stop Team Wild from realizing this terrifying reality! 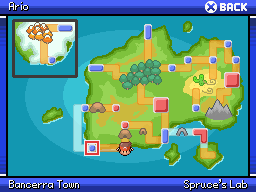 100+ New Pokemon - The Ario Region is inhabited only by Pokemon native to its land, based off the beautiful Australia. 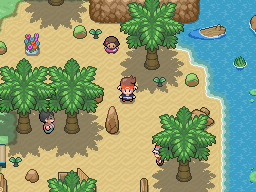 In this tropical region you'll find tons of new faces to bond with! The number is subject to change, could be more or less. 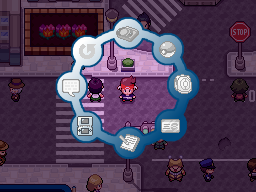 8 Gyms, Elite Four and a Champion - This game follows the traditional system, but don't fret, each gym leader will come with interesting puzzles and challenges galore! 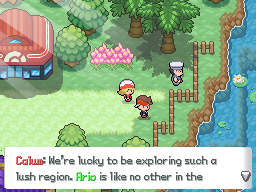 Completely Original Region - Ario is like no other region in the original Pokemon games. It features multiple climates and atmospheres that'll keep gameplay feeling fresh. Custom UI - Several gameplay mechanics will be revamped to have new, custom UI. Pokemon Contests - This has not been implemented yet but the plan is to bring back Pokemon Contests with new and improved features that more closely resemble the anime. And much more! - The game has been in development for roughly six months to this point, and a lot is still to be laid out, so expect this list to grow much more as time goes on! I'd like to keep a good majority of the new Pokemon in this game to ourselves prior to the first beta, however there are some key critters that you'll be encountering that I think are worthy of showcasing now. To be more exact, the starters! 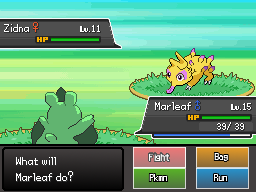 NOTE: A Pokedex of all currently designed and sprited Fakemon will become available shortly after the beta is released. All Fakemon will be subject to change and not final. 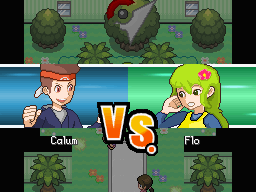 Currently: Working on content up to fourth gym. Planned progress to include in second beta: Six gyms. 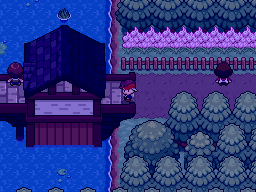 -Build ends after you defeat the 3rd gym OR after you defeat Axel outside the Pokemon Whisperer’s house, depending on which order you decided to do them in. -Content is about ~3.5-4 hrs of game-play according to early estimates. -If you make a New Game while in the “Large” window option, the introduction’s graphics will have an odd error where 75% of the screen is black. 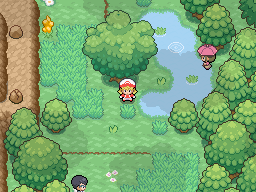 -Similarly, if a Pokemon gets poisoned while in the “Large” window option, the flashing red while the player moves to indicate your poisoned Pokemon is losing health experiences this same resizing error. -If you give a Pokemon a Rare Candy to make them evolve, their level will glitch and revert to a lower level than it should be. 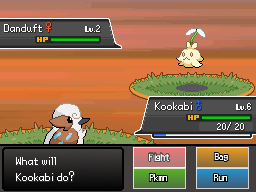 This doesn’t seem to happen when you give a Pokemon a Rare Candy normally. 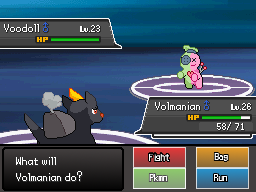 -Some catchable Pokemon in this build don’t have their evolutions included in the game at this time. 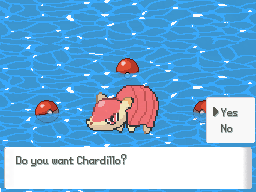 For example, Pokemon X may have an evolution at LV40, but since we don’t expect someone to naturally get their Pokemon to that level, we haven’t sprited and implemented the evolution yet. -Many items are unattainable in this build. -Surfing regions that would normally be explorable once achieving the third gym badge are closed off in this beta because they haven’t been designed yet. I just got through playing your game, and you all did very well. The plot was immersive, the Pokémon are all creatively made, and the characters all help to bring this experience to life. Can't wait to play more of this game in the future! Thanks so much for the kind words, glad you enjoyed the beta! We hope to have the next beta out as soon as possible. Hey, I've been streaming your game this week and I ran into a problem. I got to Melbourne City Gym, and am having a hard time finding the gym leaders? I assume I press the big red button when I get to their room, but it won't let me interact with it. I haven't done anything else in the city yet and I'm having trouble! Aside from this minor issue, I've been having so much fun with this game! The Pokemon are beautiful, the characters are interesting, and I can't wait to see more! So glad to hear you’ve been enjoying the game! 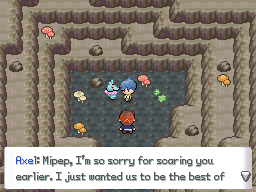 It sounds like you haven’t defeated Team Wild at M&K tower yet. The north most part of Melbourne contains a tower in which you must defeat several Team Wild grunts before fighting the gym leaders. Speaking of fan art, my friend Guzzbees also made some! I absolutely have enjoyed playing through this game. 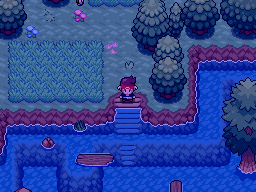 It has beautiful maps, amazing Pokemon, and I'm excited for what you guys have in strore for the future! My streams were so much fun, and I can't thank you guys and your hard work enough! Hmm I found a glitch or bug by accident when I started playing this. If you go up from here you end up in the trees of Averretta Bay (probably didn't spell that correctly) and Route 1 and Route 2 with no way out. Wow yeah, I fixed it. What a simple bug. Sorry about that :/ Will be uploading a new download with that fix soon. Alright, updated OP with a new download with some fixes!! I have to congratulate you on mapping and on graphics side. Really good job. Another update for you guys. I've uploaded a new version that contains more bug fixes and I've decided to compress the game data the standard RMXP method because after seeing several others stream and play the game with odd errors, I realized the method I had been using was corrupting the data. Unfortunately, the new zip will be larger but you can rest assured nothing weird will occur during your playing experience. Hi, just want to point out that the discord link has expired. Could you guys set it so the invitation link won't expire, please? P.S. the game is amazing so far! Discord link is fixed. So psyched you're liking it! More bug fixes uploaded just now. Also can you set the discord link to "does not expire"
I have to say this game takes an interesting route from the start. I love everything looks so new, the region and new Fakemons, not to mention they are based on Australia which is one of my favourite country. The lag and some errors maybe annoying but at least I know this game will take the cake when it's completed. 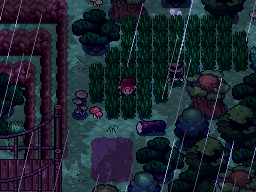 Hey, I just started the game and it's looking really fun! I love the new Pokemon's design. Danduft is fave. 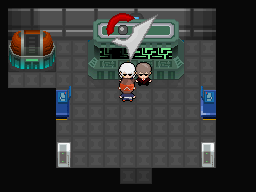 Also, I found a little bug, after you come out of the Professor's lab after she gives you a Pokemon and battle your rival, you can't go back in, it just stays on top of the door.